You will be the recipient of expert techniques, "results oriented" treatments provided with professional products containing high concentrations of active ingredients, and the healing power of touch. 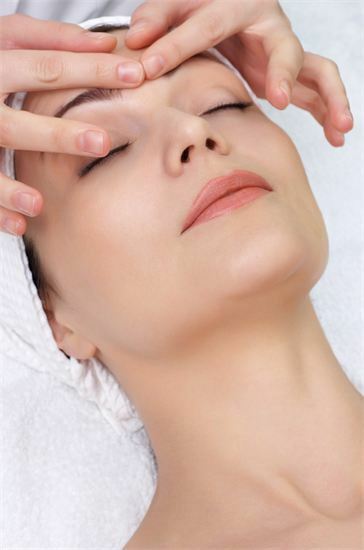 The hands of our esthetician are trained to feel for imperfections and impactions in the skin. She will check the elasticity, hydration and muscle tone of your skin. Following the analysis, she will determine the most beneficial treatment. The esthetician may also suggest other treatments or add-ons that your skin would most benefit from. assist with lymphatic drainage while also creating a state of relaxation. The eyes of your esthetician will look for clogging, pigmentation issues, distended capillaries and occasionally early detection of possible skin cancers. After cleansing and detailed skin analysis, a facial is designed to suit your specific skin care needs. No two facials are the same, this is all about you. This facial includes all the aspects of our Signature Facial adding a foaming, effervescent mask. The formulation of plant extracts stimulates microcirculation in the skin feeling tingly, cool, and soothed. The skin is left cleansed and radiant. Internationally recognized as one of the most technologically advanced treatments from Guinot, this is an excellent anti-aging and hydrating treatment. After one session there is a 46% increase in hydration and radiance. There is also a visible smoothing of fine lines. One of our most popular facials. Natural crystals are projected on to the skin to deeply exfoliate, leaving it smooth and firm. When performed in a series, new cell growth is encouraged, fine lines and pores are minimized, and pigmentation in the skin is reduced. Combines a shorter micro session with cleansing and extractions. Pores will be deeply cleansed of clogging with the outer surface of the skin being exfoliated and rejuvenated. Your skin will glow with this Skinfluentials creation. Receive all the benefits from the micro treatment plus the intense hydration of the active ingredients in the Hydradermie gels. The same procedure as the Glow with a face, neck, and décolleté massage and finishing mask suited to your skin. This unique treatment purifies while it hydrates. A heated electrode is used to penetrate cleansing gels into the skin while simultaneously softening any impactions in the skin to be extracted. Same procedure as the Hydra Clean Express with a luxurious face, neck, and décolleté massage and finishing mask. This state-of-the-art technology provides therapeutic-grade oxygen under hyperbaric pressure delivering age-defying actives to the deeper layers of the skin. Depending on your specific skin type and results you are wishing to achieve, there are 3 serums to choose from: Supreme Hydrating, Vitamin C, and Clarifying. Your skin will emerge smoother, more hydrated, increased firmness, and a reduced appearance of fine lines. This treatment is also fabulous for more reactive rosacea skins as oxygen calms and soothes redness. Pass your fingers over the top of your skin in the area of your breakouts. If you feel tiny bumps, those are impactions. Our acne facial removes those impactions with the use of our Phyto mask and extractions. A series of treatments with the proper products are introduced. Same procedure as our Adult Acne treatment but tailored to our younger clientele. Great option for alternating between the full acne facial treatments. A quick, mini treatment with exfoliation and extraction. A facial treatment flipped over! This is tailored to the specific concern, whether it be dry skin or acne on the back. The appropriate peel is chosen for your skin. Lactic, Glycolic, or an Acne blend work synergistically to exfoliate the skin and address a variety of different skin issues. An appropriate peel for your specific skin concerns paired with the full Signature Facial. Either a red, blue, green, or amber LED light is used to treat your specific concern. Anything from aging skin, acne, pigmentation, and redness can be treated with these lights. A series is a must with the LED, consisting of 8-10 treatments spaced 2-3 weeks apart. This is also a great booster to facials and peels delivering the maximum results to the treatments. Brow & Lash Tinting is Back!! Lash Tinting gives the eyes definition. It is great for light colored lashes and brows. Go without mascara, at least for a four weeks. Eyelashes naturally grow for six weeks and then fall out and are replaced by new ones. The average life of a single hair lash is only 6 weeks. Maintenance would be every four to five weeks or simply done for that special occasion. Brow Tinting gives one "Brow Power". Make up artists know that t is one of the most important features of the face. Brows can give the appearance of strength, or take it away. One can look mean, angry, surprised, or even weak when not shaped properly. Let us strengthen your brows with long lasting color for 2-4 weeks, and finish the look with impeccable shaping.